We’re constantly striving to provide you with imaginative, inspiring high quality rugs and our latest rug releases are no exception. We are bringing you various collections that are a celebration of pattern and colour. With timeless and classic designs plus the very latest styles – which we are currently adding to! Since many of our rugs are made in the UK, they are made with natural materials. They also come in different sizes. 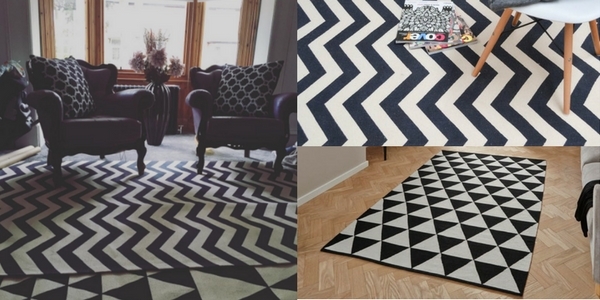 The right rug has the power to transform a room and define your space. It’s important to choose one that complements your room. Also, in the right size that works for your furniture and the layout of the whole area. These latest rug releases feature an eclectic mix of designs to fit any taste or interior and perfect your home! 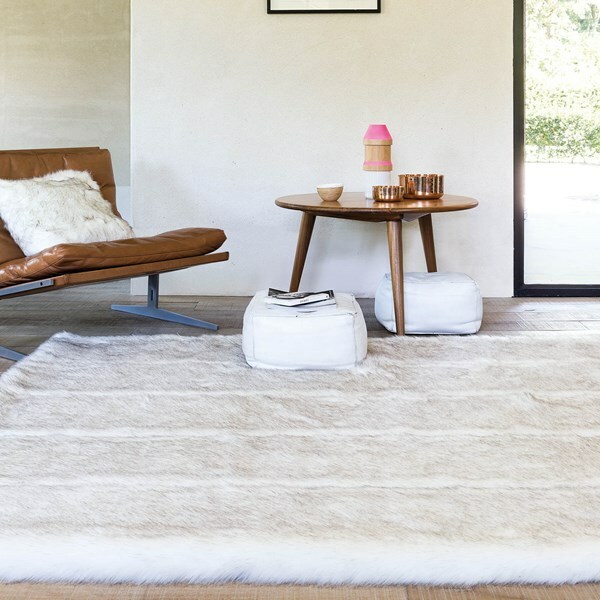 As Autumn/Winter arrives, make sure to create a cosy environment in your home with this sumptuously soft Pelle Faux Fur rug collection by Ligne Pure. Pelle is a collection of luxury soft and fluffy rugs. The collection features an array for neutral colours which are very soft due to their plush texture. Thus look very luxurious. 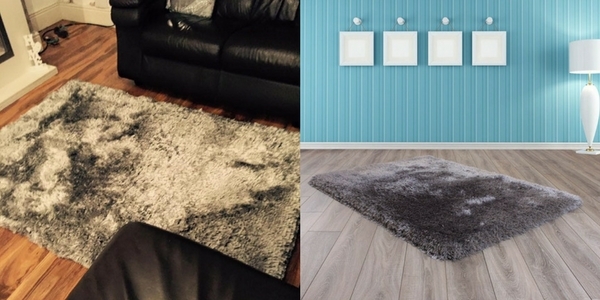 As the name suggests, these soft and fluffy rugs have been produced with the finest faux fur. Introduce a cosy and warm rug to any room. Similarly, they are available in a selection of attractive colours that will enhance your decor. 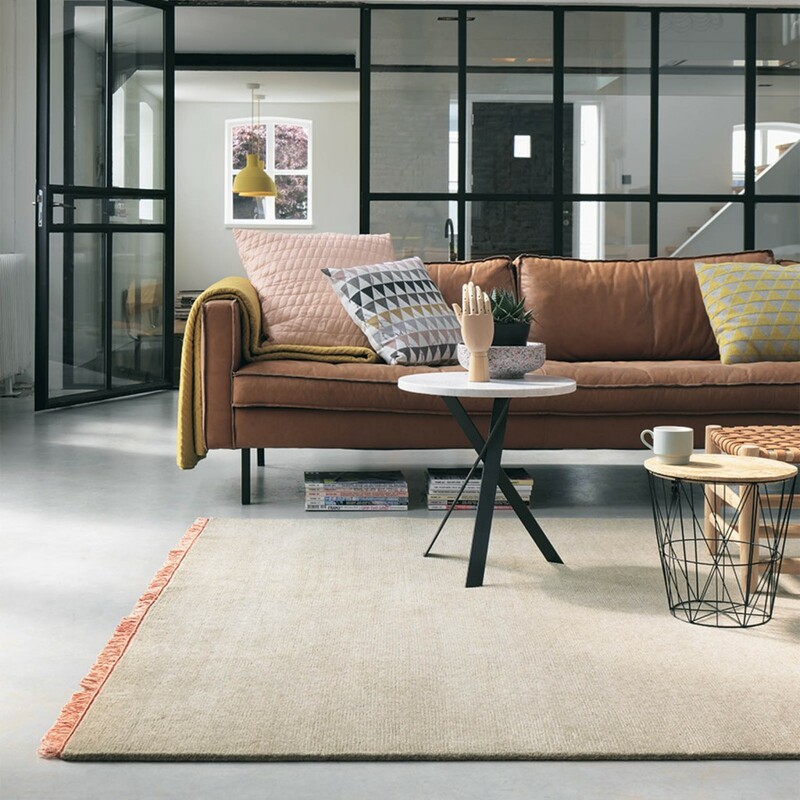 As one of the world’s leading suppliers of high quality rugs, we stock a wide range of designer rugs by Brink & Campman in all shapes and sizes. For instance, discover the latest designs from the 2016 collections including Estella, Fusion, Xian, Nima and more. This designer selection of rugs is also available in custom made to measure sizes. Also, one of the latest rug releases from Brink & Campman includes the Nima rug collection. 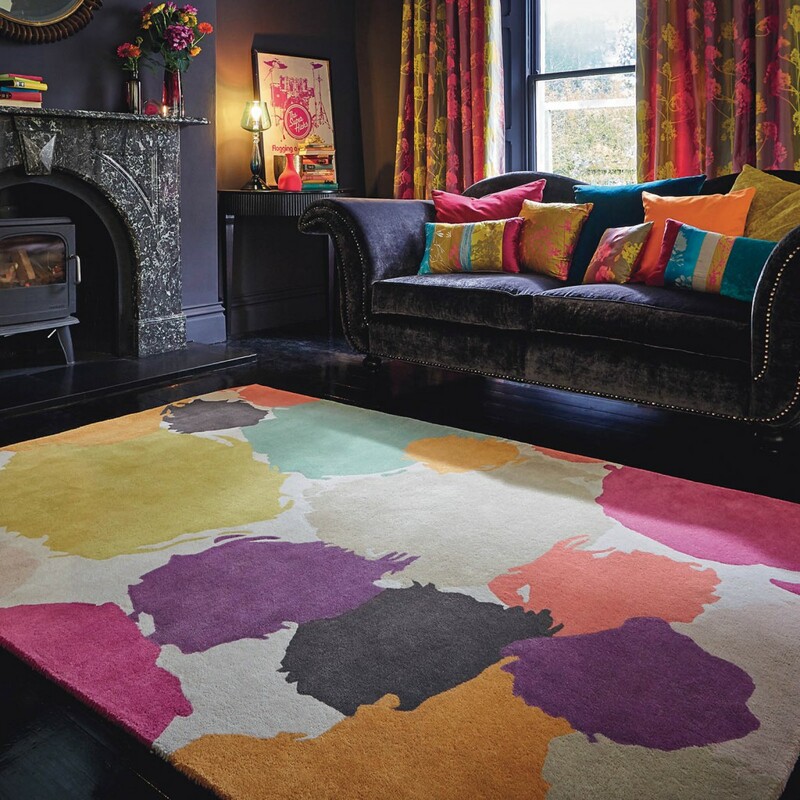 This vibrant collection features a large selection of attractive colour options with striking fringed edges. Similarly, with complementing colour tones, this collection will enhance your interior. Hand knotted with the finest wool yarn to create an immensely soft, thick and durable pile of exceptional quality. Built to complement a room perfectly whilst being luxuriously soft underfoot! Moreover, we updated our selection of Harlequin rugs to the collection which are a contemporary and art splendour, beautiful collection of high quality rugs. Not to mention, we are delighted to introduce you to the Paletto rug collection. Designed in the UK by leading wallpaper and fabric supplier, Harlequin. In fact, these rugs are made using the finest pure wool. Therefore, boost the fashion stakes of your décor with the vibrant Paletto range. For instance, as it is hand tufted with the finest 100% wool pile which is dense. It creates a thick and luxuriously soft to touch feel. This extensive range is made to meet the highest demands in terms of innovation, fabrication and creativity. A sharp and sophisticated collection of traditional rugs, the Petra Intarsio rug collection features thick-set floral rugs which will stand the test of time. The impressive design adds a touch of texture to your floors, which will fit into any interior effortlessly. In our latest rug releases for October, we have stocked a diverse number of new rugs including this Petra Intarsio rug collection. The colour options have been sympathetically chosen to enhance the overall glamour of each rug. Thus, the mixture of a polypropylene and polyester yarn creates lustrous, shimmering pile. Thus, it is soft to touch and durable. As a result, this timeless beauty is deigned to best suit a modern or contemporary setting. 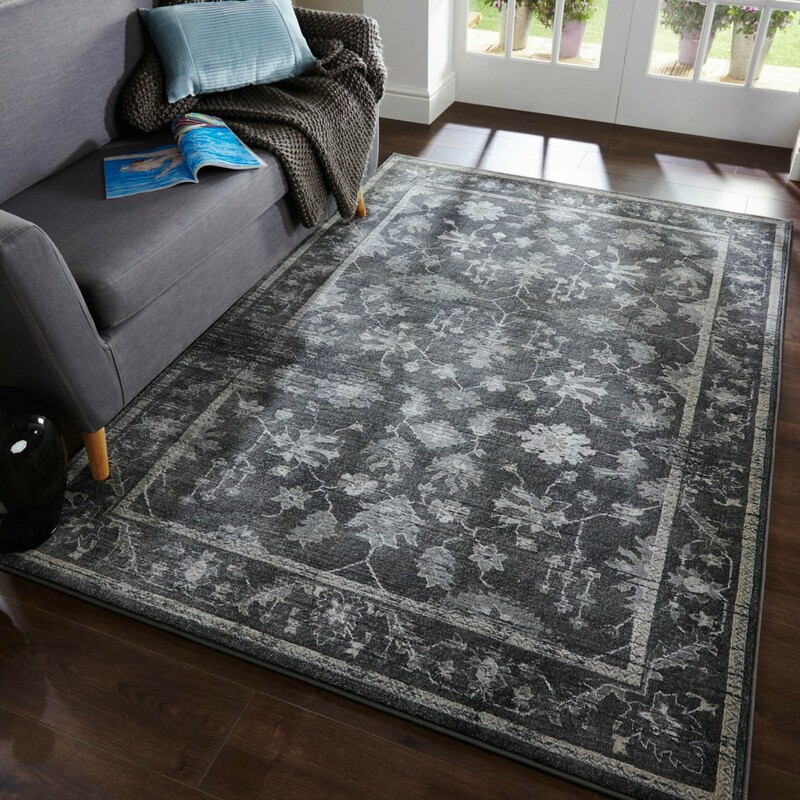 This September, we launched our selection of Wedgwood’s rug collection. which are a luxe and contemporary or rich classical splendour, beautiful collection of high quality rugs. In addition, we are delighted to introduce you to the Wedgwood rug collection. Thus, featuring popular designs including Tonquin, Vibrance, Passion Flower and many more. In other words, the unique Wedgwood brand combines unrivalled heritage with contemporary designs. For example, this majestic beauty is a delightful, chic and shimmering piece. However, Wedgwood is a brand recognised in the British pottery industry. With a prestigious history of producing high-quality china with innovative, timeless designs. 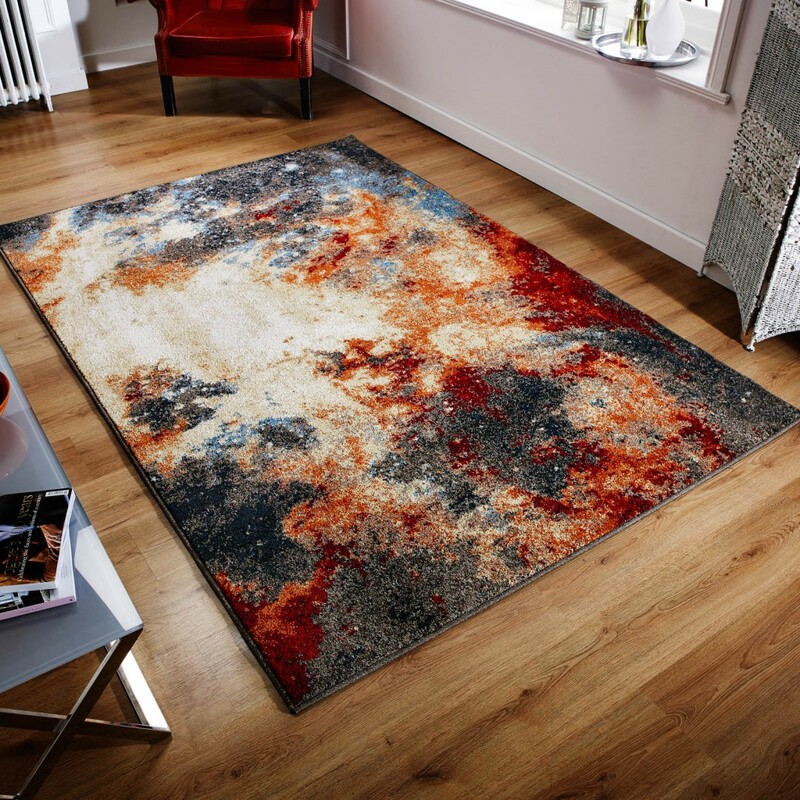 Also, this striking abstract design is from a luxurious and stylish range of rugs. The polypropylene yarn creates a rug thicker than most machine made rugs which is also soft to touch, durable, easy to clean and will be a comfortable addition to your room. The Zante rug collection features a selection of modern designs in fashionable colours. The eclectic design makes this rug an innovative and unique piece because it will set as a work of art for your floor. Woven with a frisee yarn, which is soft to touch and very durable. Bold, durable, and strikingly unique, this Prismatic collection of statement rugs are power loomed with a 100% polypropylene pile. 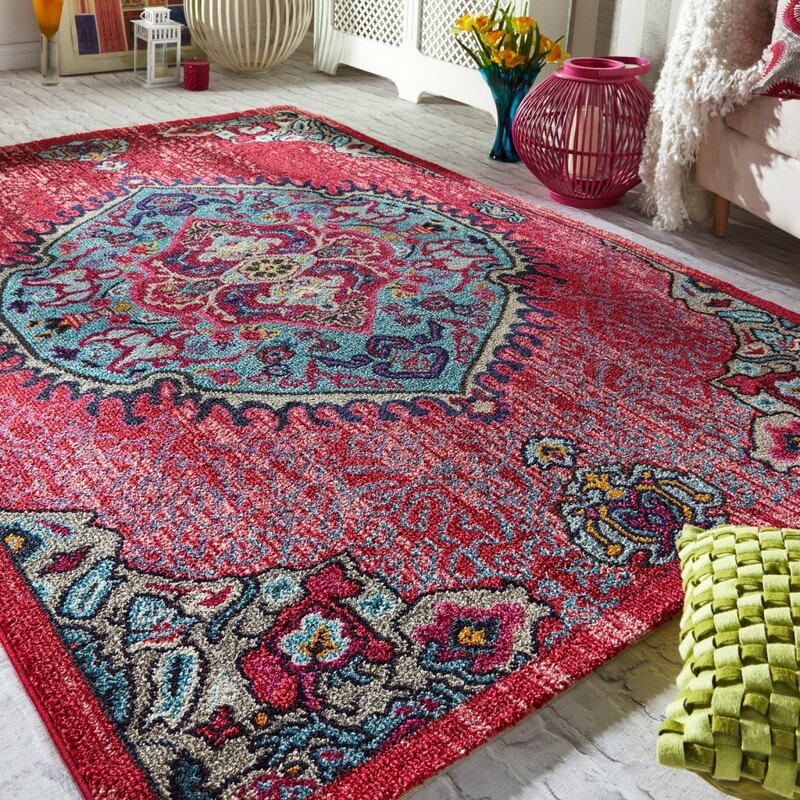 Similarly, this eclectic rug collection features a selection of statement rugs in vibrant colour tones with vintage appearances. In addition, it is power loomed with a 100% polypropylene pile which is soft to touch and very durable. Our Picks Of Your Pics! This month, we’ve picked our favourite three images we’ve been sent of our rugs in people’s homes, as we’ve been so inspired by everyone! As a result, if you’d like to see your living room in next month’s post, tag us in an Instagram post, tweet us or post on our Facebook wall @therugseller! Susan Stevenson sent us this beautiful picture of the brand new addition to her living room. Such a beautifully bold rug works so wonderfully in this space, and the complementing red furniture really makes it pop. 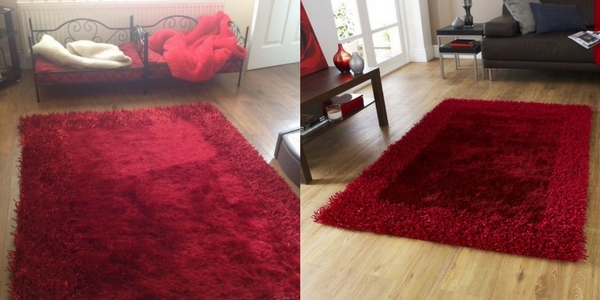 Find this Sable Two Shiny Shaggy Rug in Red here. Yvonne Moore sent us this beautiful picture over Facebook, and we can’t get enough of it. This lustrous Mayfair rug in Shaggy Silver looks so cosy and soft, it really adds a special something to this room. The satin effect cushions in a complementary silver colour adds such fabulous levels of texture and depth to the room for that finishing touch. Last (but by no means least!) Claire Harwood recently sent us this beautiful image on Instagram of her finished children’s room. We love the sophisticated layering of the Manhattan Cotton Dhurrie rug and the Onix Zig Zag rug both in black and white. Such a timeless look!